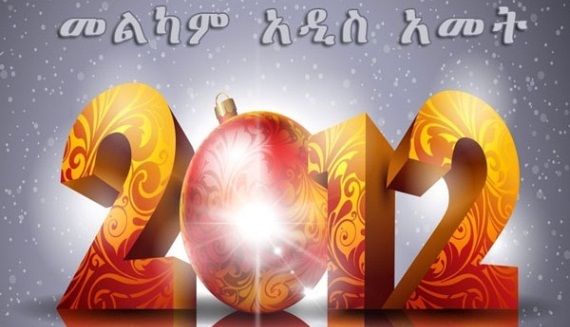 ADDIS ABABA, Ethiopia – As we near the end of the religious year for Ethiopian Orthodox Christians and Jews, both communities are welcoming the New Year on September 11th and September 16th respectively. As we have every year, we once again honor our readers of both faiths on this important day that marks the conclusion of their annual calendars. The Ethiopian New Year, which in Amharic is called Enkutatash, is celebrated concurrently with the Feast of St. John the Baptist. The name of this festival harkens back to the revered Queen of Sheba, who upon her return from Jerusalem where she visited King Solomon, brought with her a wealth of gold and precious stones. In addition to these gifts, she received jewels from the Ethiopian priesthood to celebrate her safe return. These jewels are known as ‘enku’ hence the eponymous name of the holiday. Like the blowing of the Shofar which is a powerful symbol of the Jewish holiday Rosh Hashanah, which translates as the ‘head of the new year;’ bouquets of yellow flowers symbolize Enkutatash as a holiday that marks springtime and renewal. The rituals of both holidays include prayers and sermons, but also warm family celebrations replete with food, singing, and joy. Enkutatash is celebrated over a period of three days in Ethiopian and is characterized by spectacular religious processionals with individuals dressed in pristine clothing accompanied by colorful umbrellas. The main religious celebration occurs in both Addis Ababa and at Entoto Mountain. This is a region of the country that is resplendent with yellow flowers which has come to symbolize the holiday. Congregants pray at the 14th-century Kostete Yohannes church in the city of Gaynt, while others convene at the Raguel Church in Addis Ababa. But for those in the Diaspora the Ethiopian New Year is just as vital, vibrant, and festive, and thus we would like to wish all of our friends and family Melkam Addis Amet!